Macomb County Executive Mark Hackel serves as head of the executive branch of government. He supervises and coordinates with all county departments, except for departments headed by countywide elected officials.  The office provides internal direction and support to the county's departments and organizations and external support to the residents, communities and businesses of Macomb County. The mission of the office is to ensure that all county activities are efficient, economical and ethical for the citizens of Macomb County. Born and raised in Macomb County, Mark A. Hackel is a proud graduate of Warren Consolidated Schools, where he never missed a day of classes. He holds an associate’s degree from Macomb Community College, a bachelor’s degree from Wayne State University and a master’s in public administration from Central Michigan University. Mark is also a graduate of the FBI National Academy and has the distinct honor of being selected the #1 recruit graduate of from his class at the Macomb Regional Police Academy. His career in law enforcement began in 1981 as a dispatcher with the Macomb County Sheriff’s Office. During his 30 year career, he worked his way through every rank and was ultimately elected sheriff. In November, 2010, Mr. Hackel was elected to serve as Macomb’s first-ever county executive.